Facebook is an amazing platform for promoting your small or startup business. Setting up a great-looking page is just the start of it. But the crucial element for creating a successful Facebook presence is fan engagement. As Facebook makes use of algorithms to calculate your Post Quality on the basis of fan engagement (also known as Edge rank), the more activity your fan page posts generate, the longer you’ll show up in the News Feed of your fans! But often it is not as easy as it sounds to get your page’s fan to participate in the online conversation. Learning all the different tones of various social networks could be a tricky feat, particularly while bearing in mind how often they add, eliminate, and alter features. Here are a few tips to get your visitors to interact more with your Facebook page and help you stay ahead of the lot! This is all about making your fans respond to stuff that you post on your page. In order to gain a fair response, you must make sure your posts are fan-centric. While you are provided with up to 420 characters per post, we recommend using only around half of that for an ideal size. Because the easier it is to be read, the more likely your fans will respond to it. You should take some time to make tailor-made statuses that are comprehensive yet engaging. If you want to get your fan page be more visible to your fans, you must focus on getting comments with your status updates as your goal. This is highly relevant these days as Facebook now uses an algorithm called EdgeRank to judge the importance of a status update, which is often ranked by the number of comments on one’s status updates : the more comments a status update gets, the higher is its EdgeRank and consequently, your post would be driven to the top of your fans’ news feeds, providing more fans the opportunity to interact. * What is your favorite…? * Have you ever tried…? * What do you think about…? * What would you do if…? * Who do you admire the most? It has also been seen that asking questions in your posts will generate more than double the amount of Comments as seen in “non-question” Posts. According to social-media experts, even a simple “fill in the blanks” approach would generate comments up to 9 times higher than other posting strategies. In this way, they would be voluntarily promoting you and your brand without ever having to ask for anything. When it comes to marketing, being visual was the best way to increase engagement since olden days. The photos became even more powerful with Facebook primarily because they take up more space in the news feed by default and thus can fetch you more interactivity than a straight text post. You can post pictures of your current/upcoming projects, posts honoring new/featured employers, or even a fun game asking people to guess what the photo is, etc. Posting photos of you and your staff would bring a more personal touch to your Facebook page and provide behind-the-scenes look at your business. Share videos featuring testimonials from satisfied customers or demonstrations of your products or services. You can also share photos, images, and videos posted on other Facebook pages, if appropriate. Be sure to add a link to your website when you upload photos as you would want to drive traffic to where you want to. Running a contest for your fans is a great way to boost fan engagement by bringing some fun to your Facebook page. Not only that, they can greatly boost your like counts, grow your subscribers list and may even showcase some product or service which you offer. But there are certain rules you must follow when it comes to running a promotion such as a contest or sweepstakes. Use the cover photo and app photos to help promote your contest. Announce the big news by changing your cover photo to one featuring the contest. Later on, you can even change it to showcase the winner. The most common way that many businesses do this is to give away vouchers or small gifts for sharing their wonderful experience with your product or how your services were helpful to them. If that is not possible due to budget or margin constraints, another way to reward your fan for participating positively is to feature them on your page. Having their names or photos seen and recognized by the rest of the community is a huge incentive for your fans due to the need for respect and status. Most Facebook Pages tend to be so boring that nearly each and every Facebook user is only surfing the site casually, looking for for fun and entertaining posts. This conduct has caused their inclination towards amusing images or status updates. If you observe those Facebook Pages with high engagement, you can see that most of them are happy, which is reflected from their interactions. Even if you are a “serious” business, you can still have a funny-bone. Throwing in few witty lines and funny pics here and there among a few of your posts would immediately grab your fans’ attention. Did you find a meme or a particular photo funny? We all like to have a bit of fun in our lives so why not share your laughter online with the rest of us? There is a chance others will have the same reaction to yours. Try to create your own meme’s and other content to stay original too as long as it is related to your brand/company. While Facebook’s new page design eliminated the ability to create a designated ‘Welcome Landing Page’ for new visitors to your Facebook page, you can still create and leverage the power of custom tabs. Facebook’s new timeline design allows you to ‘pin’ or anchor one of the posts to the top of your Timeline where it has maximum exposure and prevent important posts from getting buried. The ‘Polls’ tool can be a great way to get fan participation. It can also be used as a research tool to get your fans’ feedback about your products/services or the page. The ‘Milestones’ feature allows you to call attention to significant events in your business’ history like accomplishments, fan growth, award wins, product releases, major events, or other accolades. Facebook Insights is an internal analytics tool that helps you measure and analyze your fan interaction. The tool provides the page administrators with analytics data about page visits and engagement and it is much helpful to understand which content is and isn’t engaging to your fans. Everyone knows that there is a human being sitting somewhere behind the screen typing all these updates. People are drawn into the personality of these posts and that eventually shines onto your business’ brand. If you’re branding your business as YOU, such as a Realtor, Author, or Consultant, You may want to use your personal Facebook profile to promote and market your business too. When you are self employed, you are the brand. Try to showcase your personal characteristics as being part of the brand or the business. For example one may write about his day-to-day activity as a CEO, yet throwing some light on his life as a dad or son. They would find it even more appealing to be able to relate to what your brand/company is about. Don’t hesitate to tell your people what you are doing, just as Facebook itslef asks you, ‘What’s on your mind?’. Your fans on your page are dying to know more about you and your company. You can throw the old “don’t tell them what you had for lunch” advice right out the window with this tip. You can tell them what you had for lunch. Better yet, add a picture! You need not be scared to stray “off topic” once in a while. Take your fans by surprise by posting stuff which are not directly related to your product or service. Say for example, an inspirational quote adding your own thoughts to it. It is no surprise that people love quotes from their favorite celebrities. Though you won’t get much comment on these posts, but there is a great possibility that they will instead share your quotes on their walls and tag you in the process, resulting in a good chance that their friends see your name in their news stream and would probably click on it to see who you are. Avoid canned comments or robotic responses because these fail to show the sincerity of your business and most of the time, your fans will be able to spot them quickly as they are quite used to those. Many a times, your a fan’s Facebook profile will reveal some recent happenings that will probably help you in crafting a personable response. The personal nature of your response would surely impress even the most hard-hearted fan. Crowdsourcing essentially means re-posting fan-generated content Using crowdsourcing allows your page to be more of a community and connects people together. Reposting information is essentially the same as a retweet on Twitter. By sharing other user’s posts you are complimenting them and they will be more likely to pay attention to you. Don’t overuse this though! Big brands often place an app on their Facebook pages that will allow people to submit their story to be a candidate to be featured. This gives you a chance to review the stories and choose which ones to feature. Then will post the pictures and the story of the people who have submitted them. Though this is not something which you would expect to drive huge number of users to your fan page, but it is certainly worth a shot. Requesting feedback on one of your products or services is yet another way to get comments, but it can backfire if some of the feedback is negative. If you choose this option, you’ll need to monitor the comments closely and respond to everyone who gives a review that’s less than glowing. Make sure you do not take your online community and fans for granted. Show a little love! Use photos and posts to show their fans how much they love them. Give your fans special access to free stuff, or new products. Show them your appreciation for the time and effort they spent, and they won’t stop returning. Free digital products are typically the easiest to hand out. Respond to posts regardless of it being positive or negative. You are here to build and share your knowledge of your business. This can be seen as giving customer service which can prolong your brand even more. Addressing them by name while responding to your fans’ comments has a huge impact. You can address specific fans in your comments using the “@ mention” tag in your updates. Make sure that you acknowledge your fans often, because genuine recognition sticks for a long while. Even a simple gesture of thanks will do just fine. This will greatly induce others to do the same in order to because fans do love to get recognized and appreciated for their efforts. These ten tips would give you some idea about the new things you are yet to try and ways to stand out and will ultimately help your business grow. Well what do you think of them? Have you tried these techniques? Or do you have a unique way of engaging your Facebook fans? Share your thoughts in the comments below. A well informative post! This is the article that everyone should read especially when doing Facebook in promoting a website. Thanks for the comment Linda. Pretty darn good information for starters. This is indeed a great post. well crafted and understandable. This tips can really improve engagement. I will surely keep in mind the points mentioned int his article while promoting my next website on Facebook and i am sure it will definitely help. People who are using Facebook will be receiving great benefits from this post. With the help of the tips that were discussed here, Facebook will be more popular. Facebook advertising is a great way to market your work online and the post written by you is indeed informative and lucrative for that. Some great tips and outlines have been put by you. whenever i’ll advertise on FB, i’ll refer to this post for sure…. Another inspiration I get from this article. With Facebook popularity today, everyone can take advantage of it. 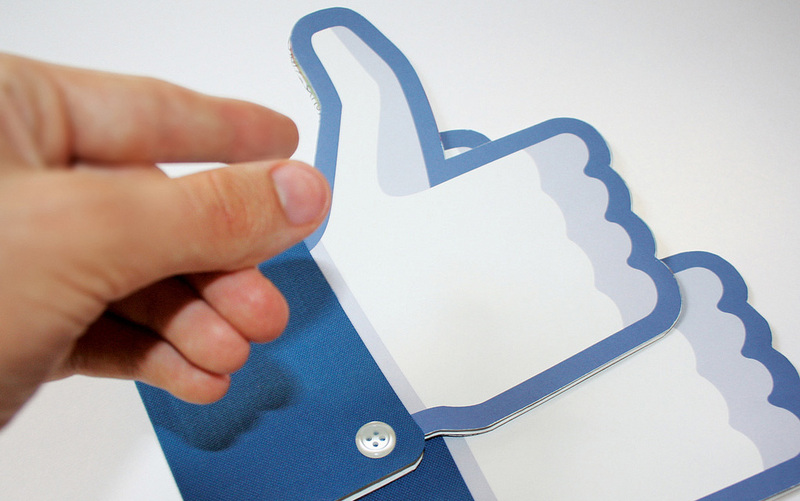 Crucial element for creating a successful Facebook presence is fan engagement. As Facebook makes use of algorithms to calculate your Post Quality on the basis of fan engagement (also known as Edge rank), the more activity your fan page posts generate, the longer you’ll show up in the News Feed of your fans! Writing cornerstone content and repurposing our content will act as a stimulator for the blog bringing in much traffic. All the points are practical and useful. Great post. Awesome post on facebook marketing, I appreciate you post and want to say thank you for sharing great contents with us. Good article, all the points are well, the picture are more attractive with each point and you chose lovely pictures. I am really thankful to you for the information. You are helping others to grow their knowledge by sharing such a valuable information you have. The social media platform is really a big help in promoting sites and products. This post has a point or two for giving such information. Adding social media as a medium for marketing, promotion, and advertisement gives more dimension in online marketing and SEO. Thanks for sharing this blog post. Thanks for this post this is awesome and this post is very helpful for those who is promote website in Facebook………….Thanks for sharing this information.